Seattle-based nonprofit dialysis provider Northwest Kidney Centers intends to make a $15 million grant over the next five years to support startup projects within the University of Washington’s Center for Dialysis Innovation. The center, a collaboration of the UW Medicine Kidney Research Institute and UW Biomaterials/Bioengineering, opened last November. It aims to use biomaterial and bioengineering technologies to transform dialysis care, which today keeps more than 400,000 Americans alive. The center envisions that future dialysis therapy will be free of complications and will completely restore kidney health. “We are incredibly grateful to Northwest Kidney Centers for the gift to launch the Kidney Research Institute in 2008, and now for such a significant boost to the momentum of the Center for Dialysis Innovation,” said Jonathan Himmelfarb, a professor at the UW School of Medicine and director of the Kidney Research Institute. 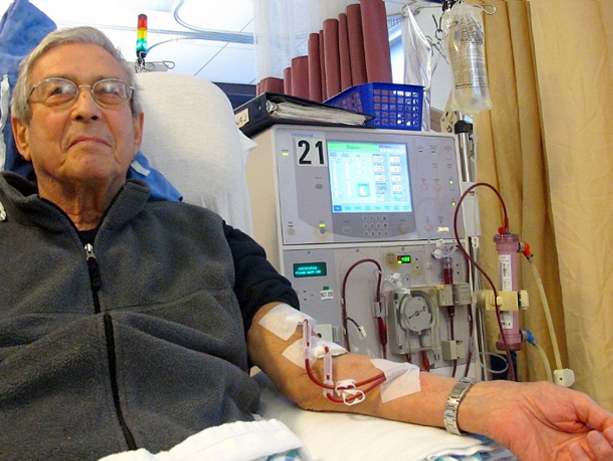 He and Buddy Ratner, UW professor of bioengineering, co-direct the dialysis innovation effort. The grant from Northwest Kidney Centers represents 60 percent of the center’s five-year fundraising target of $25 million. “We are excited about the Center for Dialysis Innovation because it brings together creative, entrepreneurial, can-do minds from a wide range of fields including nephrology and bioengineering. This team also wants to involve people living with kidney disease to help direct the center’s focus,” said Joyce F. Jackson, Northwest Kidney Centers president and CEO. “Their aim is to develop revolutionary dialysis technologies, including a wearable dialysis system that is low-cost, and energy- and water-efficient. This would not only sustain users’ lives, but give them more vitality and productivity. This work is desperately needed,” Jackson said. The grant builds on longstanding ties. After the University of Washington team invented technology for ongoing dialysis in 1960, independent Northwest Kidney Centers was founded in 1962 to provide the life-sustaining treatments. It was the first dialysis organization in the world. As a nonprofit health care provider, Northwest Kidney Centers provides extensive community benefits. For example, gifts from Northwest Kidney Centers to UW Medicine fund fellowships for training nephrologists, and provide ongoing support for the Kidney Research Institute, a collaboration of Northwest Kidney Centers and UW Medicine established in 2008.